Gold Logie nominee Steve Peacocke will take a leave of time out from Home and Away to appear in action movie Hercules: The Thracian Wars. He will play the supporting role of ‘Stephanos’ in the movie starring Dwayne Johnson, John Hurt, Ian McShane, Joseph Fiennes and Rufus Sewell. Brett Ratner will direct the film in Budapest, Hungary. Peacocke will film in the coming months before returning to Home and Away in September. “This is an incredible opportunity for me to experience film on a massive scale, work with a world-class director, actors and two of the biggest studios in the world. I’m grateful Seven is allowing me time out to get a taste of that world,” says Peacocke. The tattoos aren’t real, they are painted on every day. I read that he is coming back to Home & Away and is only going to be gone for a few months. I hope his role involves wearing a shirt. I mean that “Blood and Sand” tattoo wold look a bit out of place in Ancient Greece, don’t you think?? He’s a Braxton so um… let me guess he’ll take the fall for one brother and either go to jail or on the run. 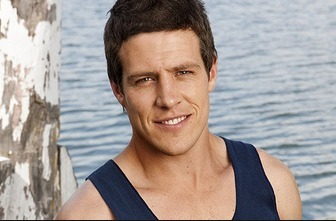 Its nice to see home and away give an actor a break to take on other opportunities. Hopefully this is a sign of a less Braxton focused home and away at least for a short period. Most serials have given actors time out to do other projects, including Home and Away. It keeps the cast happy and they come back with new skills. Well done Steve. I didn’t appreciate the Logies wisecracks either. He is a great actor. Congrats and well done. Hopefully he’ll be given an on-screen credit, which is something not afforded their talent by Seven. So rude. Those who ridiculed his Logie win seemed to be from the has-been, wanna-be and never-be set. I think that Steve’s a good actor. Many people think that actors from soaps are not very good & ridiculed his Logie win. But the fact that so many actors from H&A and Neighbours do so well proves otherwise.